Papyrologist (and friend) Roberta Mazza has done a tremendous job at her blog of tracking some of the latest news in the extraction of textual papyri, the market for them, and who collects them and why. In reading her latest post on the Wyman Fragment, I was particularly interested in her points about the factors which influence the prices of papyrus fragments. Naturally the content of the papyrus itself can drive up the value–we can presume the new and controversial Sappho fragments would be insured for more than just your average ancient Egyptian warehouse inventory. Having a clear and legal provenance can increase the economic value of any artifact, not just a papyrus fragment, as both individual collectors and institutions are (slowly) becoming more wary of looted or otherwise “sketchy” pieces. In other words, conscientious collectors will pay a premium to avoid legal action in the future. Sheer competition among buyers influence the cost of any commodity–be it ancient texts or modern real estate. The rarity or non-renewable-resource status of antiquities also drives up price. Provenance: While in modern antiquities collecting, provenance is part of the determination of legal/illicit status (with higher prices for licit pieces), in the ancient world, provenance referred to the ownership history, with objects being more valuable if they had passed through the hands of someone important. Example: Martial Ep. IX.43 tells us of the Hercules Epitrapezios, once owned by both Alexander the Great and Hannibal before it came into Vindex’s collection. While Statius (Silvae IV.6) seems to like the little statuette on its artistic merits, its ownership history was the big draw. Name brands: Like Louis Vuitton handbags or Hummel figurines, sometimes a well-known brand is all an object needs to make it valuable (regardless of formal characteristics in some cases). A fragment of Sappho is more valuable than an entire poem written on papyrus by a nobody. Mirabilia: This is something of a combination of name brand, provenance, and natural history. In some cases a single object could “triple-down” on its valuable features. 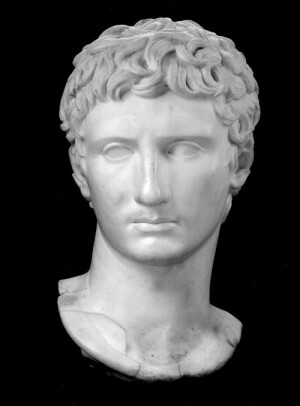 Example: Pausanias 8, 46 tells us of the tusks of the Calydonian Boar brought from Tegea to Rome by Augustus as war booty after the defeat of Mark Anthony. We presume the tusks were big and impressive to match their illustrious and mythological provenance. Aemilius Scaurus displayed a gigantic skeleton (of a whale? ), which was said to be the sea monster which menaced Andromeda. While status as mirabilia doesn’t necessarily influence the economic value of papyri today, provenance and name brand certainly do. And in the modern market for antiquities, we can see clearly these factors at work in auction prices. 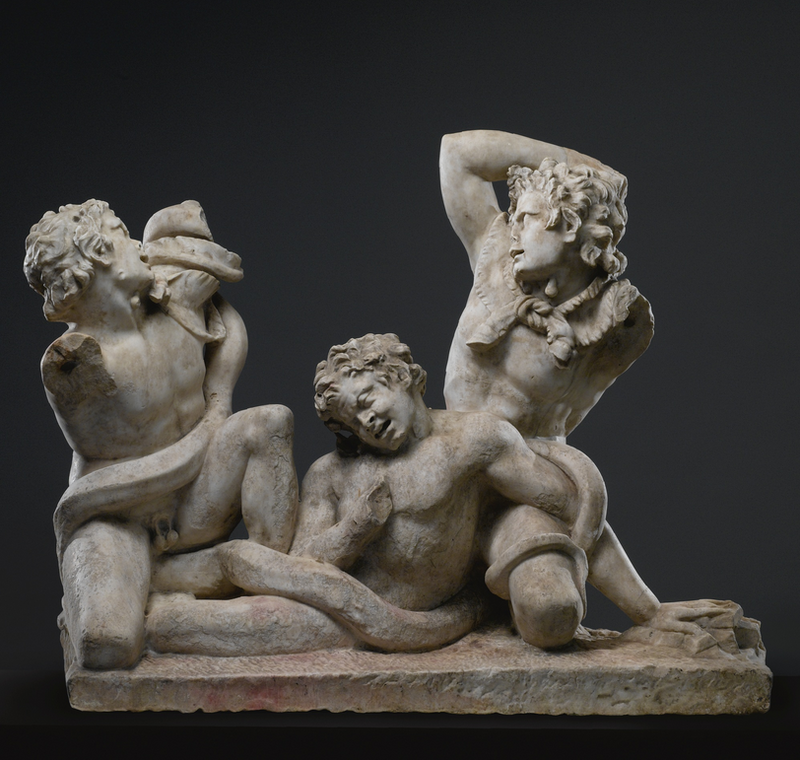 For example, the connection to Lorenzo the Magnificent must have been in part responsible for the $3.4-million hammer price for this fragmentary group of satyrs fighting snakes. The piece’s ancient Roman “brand,” as well as its allusion to a Laocoon-like prototype certainly drove up the value as well. The sculpture market in late 18th-century Rome was a confluence of a high demand for antiquities (thanks to Grand Tour traffic), the nascent field of art history and connoisseurship within it, talented sculptors who could create works which appealed to both the taste for ancient art and complete, “perfect” statuary, and some techniques in restoration which in retrospect seem at best bizarre and at worst immoral and violent to the historical record. Latest research project sent off to press! 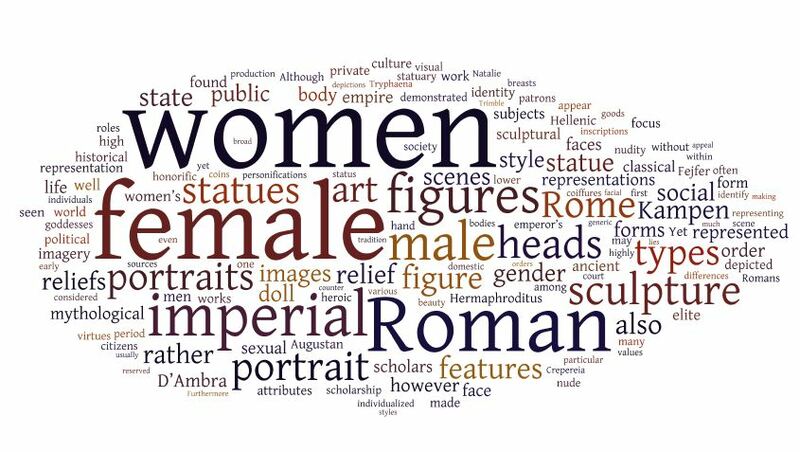 I’ve just put to bed the latest research project: an essay on Gender and Sexuality for the Oxford Handbook of Roman Sculpture, with the fabulous Eve D’Ambra. You can see our bibliography here in a Google Doc. I like to think of it as an unofficial, yet hopefully fitting, tribute to Tally Kampen.